If you didn't learn something on your last run, you weren't paying attention. 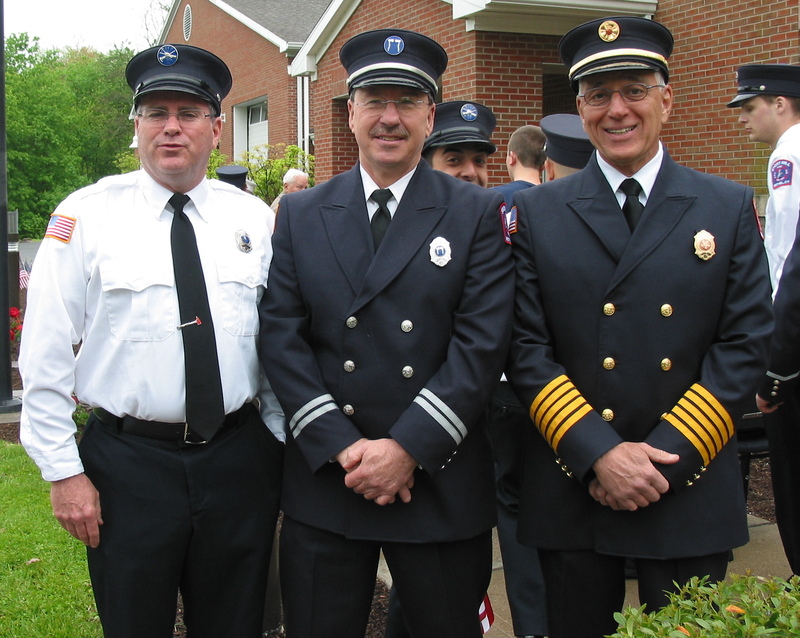 L-R Jay Streaman, Safety Officer Jon Menti, and past Chief Tony Rubino. Bethel, CT: Three Stony Hill Volunteer Fire Department members were honored for their combined 105 Years of Service. Firefighter Jay Streaman, Safety Officer and past Chief Jon Menti, and past Chief Tony Rubino each received their 35 Years of Service pins Sunday, May 19, 2013, at the departments annual Memorial Service. All are still active members of the department. Three active members honored for their combined 105 years of service!